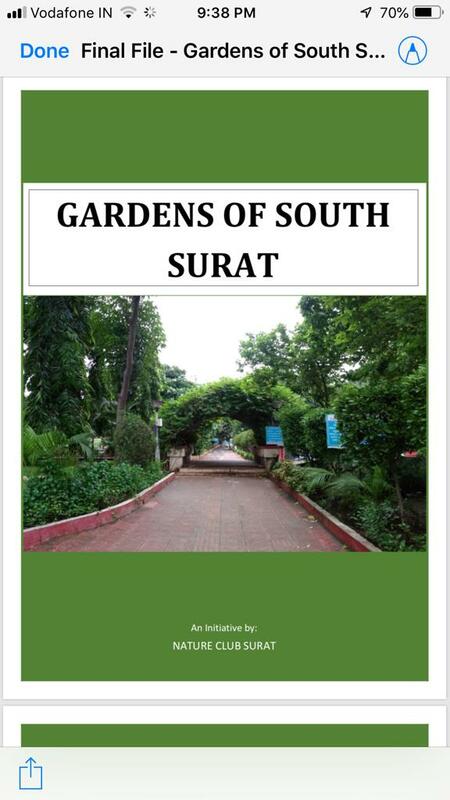 Nature Club Surat is coming out with a book on Gardens of south Surat . Only limited number of copies are being printed for leaders, administrators, as also for enlightened nature lover citizens of Surat. The purpose is to create awareness about need of “ Green Surat”. This is modest small step towards environmental protection .